To receive email from M R Gardens, add gardens@wncmretc.com to your safe sender list. 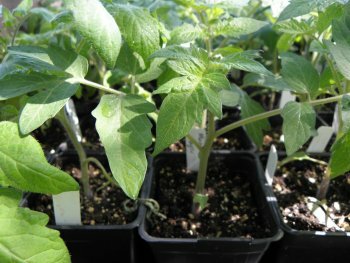 Heirloom and disease-resistant tomatoes, hot and sweet peppers, tomatillos, eggplant, ground cherries, pickling cucumbers, basil, tulsi, cosmos, sunflowers... Just a few of the 50 varieties of summer crops I'm offering this year. If you haven't received a plant list, contact me at gardens@wncmretc.com or 828.333.4151 and I'll send it to you. The deadline for orders is Saturday, March 15. Plan on receiving your summer plants by May 10. Looking for arugula, spinach or lettuce but didn't get a chance to order earlier this month? No worries, I have some extras. Just let me know how many you'd like, and I'll reserve them for you to pick up the first week of April. There are lots of benefits to ordering your plants ahead of the season. 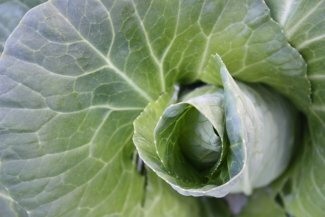 The time you invest in thinking about your garden ahead of the season makes your work in the garden flow smoothly once planting season arrives. Nothing takes away the peace and rejuvenation of the garden like hurried last-minute shopping. 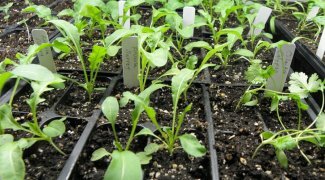 At M R Gardens, special attention is given to each of the seedlings, which are grown in organic potting soils in the healthiest environment possible. You can arrange a time to pick up your plants that fits well with your schedule and with the increasingly unpredictable last frost date. Read more about the 2014 plant offering on my website. As many of you know, I have been involved since 2008 with a special program called WNC Agricultural Options, which awards seed money to diversifying farmers, helping to offset the risk of trying new ventures. While I scaled back my duties significantly since I started focusing on my own business endeavors in 2011, I still greatly appreciate the opportunity to write up descriptions for each of the awarded projects for the WNC AgOptions website. As I read through the recipient applications, I'm always filled with such energy, as a vision for evolving agriculture—one that is healthy for the consumers, the land and the animals—shines vibrantly in my mind. While the recipients are not required to undertake ecologically sustainable ventures to receive a grant, many of them are just because that's what many successful farmers leading agricultural innovation do these days. I read the applications in the dead of the winter (this year, parked at my house for three days during the season's heaviest snow fall) when my interaction with customers are limited and I'm a bit isolated. Yet at these times I never feel more connected to my community, even at a long distance, as I share so much in common with these small-scale growers with such long-range vision. Tucked in the nooks and crannies of the mountains, we're all working hard to make our creative mission-driven businesses profitable, not just for our and our families' betterment, but for the community as a whole. I especially appreciated a statement by Jen Stockbridge of Stockbridge Farms in Cherokee County, who is improving her pastured poultry operation. "Several of our customers are aspiring producers themselves," she said. "We find this inspiring, not threatening. To grow your own food, or to try to, is the best way to fully appreciate the value of food." Her sentiment is exactly mine, and one of the driving forces behind my business. As we appreciate all that goes into growing our own vegetables, and taste the immense flavors that can come out of our backyard, we are more likely to patronize other businesses that sell healthy, locally grown, ecologically sustainable food. Any other produce begins to taste bland and lackluster. I believe the energy put into growing food can be tasted and felt in it, so I'm so glad to live in a region where so many growers are altruistically motivated, yet practical at the same time, ensuring the longevity of their businesses. Harvest is meager this time of year, so every little taste of homegrown food reminds me of the pride I often feel when I dig into a plate of vegetables that I grew myself, or better yet share with friends and family. 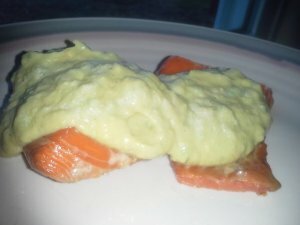 Last night, my dinner was topped with an avocado-yogurt dip flavored with last year's peppers and tomatoes from the freezer as well as scallions that I seeded last fall and am just now harvesting. A side of potatoes came from the bottom of my compost pile! A volunteer potato plant took over my compost last summer, and I let it be, forgetting about it until I turned the pile this week. The potatoes survived in the ground underneath of the large pile, providing protection from the harsh winter. 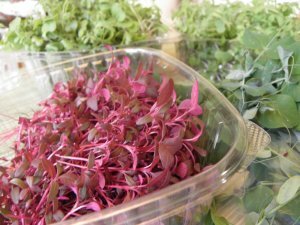 My plate had a sprinkling of amaranth microgreens as well as red cabbage and cauliflower varieties that I was glad to use up since I had been unsatisfied with them at full size. My modest harvest was nothing compared to the bounty of greens that will stock my refrigerator in just a month's time, but yet it filled me with a familiar quiet satisfaction. Such a nice way to end a hard day's work. So I've added another reason to my growing list of Why I Garden: Nothing compares to the pride felt at the dinner table in front of a plate of food that I grew myself. Read more reasons on the M R Gardens website. Earn a free plant for every one of your referrals who purchases a plant from M R Gardens. Just tell your friend to let Megan know they heard about M R Gardens from you! 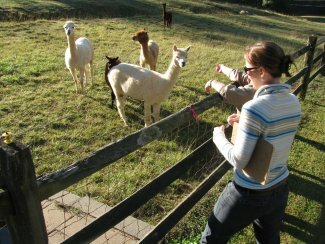 Click here to read about my interesting background in horticulture, sustainable agriculture and experiential education. Some activities require someone by your side to really grasp them, and gardening is one. When you are shown how to set up a bed, plant the crops and harvest them, you are much more likely to remember how later. It's also important that you set up a system that fits your lifestyle, schedule, goals, personality and work style, so that you stick with the activity over time. In addition to working with you a few days your first season, I can provide you a garden plan specifically for you, as well as spreadsheets, timelines and growing tips to make your life in the garden manageable. Read more here. I serve individuals, families and business owners who want to improve their properties and the well-being of their customers with edible gardens. Using primarily edible and native plants, I tailor designs to the client's unique needs, with the goal of creating an aesthetically pleasing, therapeutic and useful area that raises quality of life and property value. I incorporate themes of traditional design (such as texture, levels, line, unity, balance, simplicity, color, and ease of maintenance) with the principles of permaculture design (such as microclimates, useful vegetation, and the smart use of the sun's and the gardener's energy). I aim to create a vision, alongside the property owner, that is both extraordinary and practical, so the landscape can realistically be implemented and maintained. Read more here. Gain new skills, try out something new, learn about my unique approach to gardening, or just enjoy the physical activity in the outdoors. As we work together, tidbits of information seep into conversation that you otherwise might not think to ask me. In return for your work, you can choose between seedlings, produce, or a tutorial on something in particular you want to learn about. Read more about all the opportunities at M R Gardens this year. A friend gave me a few double-headed orange lily divisions five years ago, and now I have a backyard full of them! I'd love to pass on the love. If you'd like any lilies, let me know and I'll dig some up for you. Just call or email and we'll arrange a pick-up time.